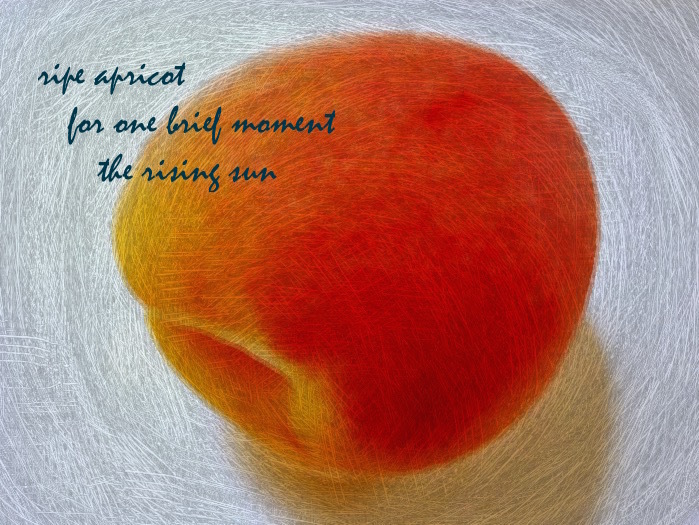 This entry was posted in haiga, haiku, Mary Kendall poetry, nature poetry, poetry and tagged apricot, rising sun. Bookmark the permalink. What an honor. Congratulations. Your haiga is wonderful.